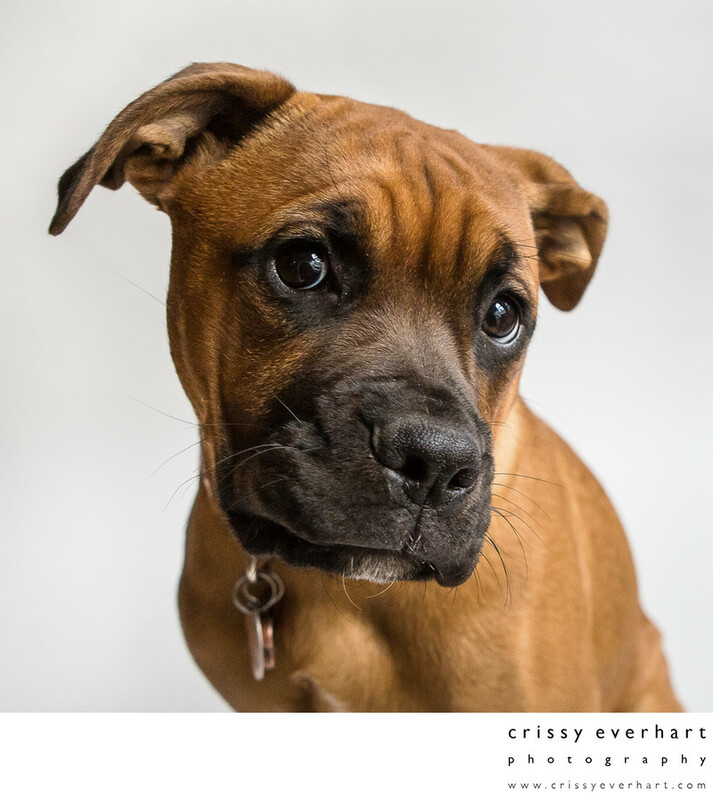 This is my dog, Ruby, who thinks that every time I set up the back drop and lights the session is for her. She is lucky she is cute!! She is half boxer and half pit bull and 100% sweetheart. Pets are welcome at my Malvern photo studio with indoor and outdoor grounds, for studio and environmental portraits.